Ageing can bring on a host of physical and mental changes. Many older adults experience memory loss and cognitive decline. 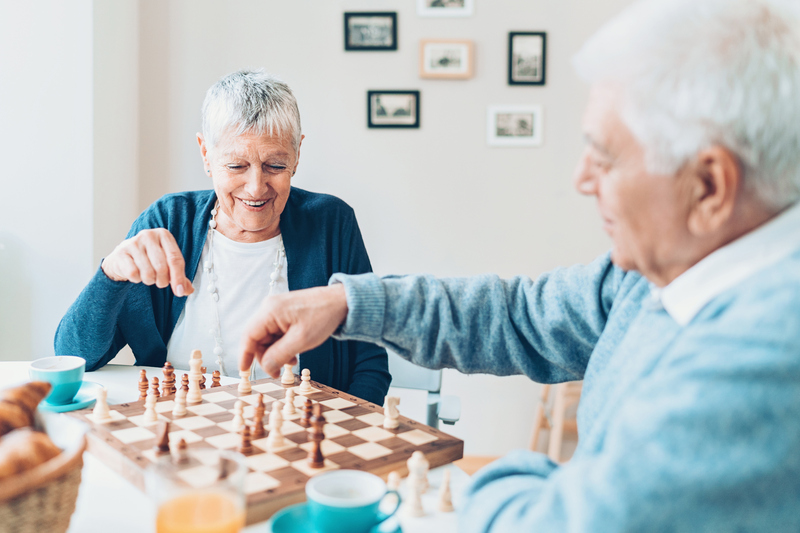 One way to keep the senior mind sharp and prevent or delay memory loss and cognitive impairment is to keep seniors’ brain actively engaged through game play. Safe Care Home Support in Vancouver recommends 5 games that can help. Crossword puzzles can be a solo activity or one that is done with a friend or caregiver. Crosswords challenge seniors to recall words and to think creatively about the clues. Clues are often brain teasers that require solving a slight twist of words. This is especially helpful for those who are starting to experience dementia in Vancouver. Sudoku is a puzzle that relies on mathematical logic and problem-solving skills. Sudoku exercises short-term memory using numbers that are not repeated in the grid. This is a terrific puzzle that can be easily transported, such as to doctor’s appointments. It is highly recommended for those who are going through post-hospital care in Vancouver who are temporarily confined to a bed or a wheelchair to relieve boredom and stimulate problem-solving skills. Bridge is a competitive card game that requires team play and social interaction. It is generally played with four people. It involves bidding and memory of same, as well as strategy with a partner to outplay the other team. Bridge can be played at home with family, friends, and caregivers, or it can be played outside of the home, either at a senior center or a care facility. The social aspects of bridge cannot be overlooked for helping to keep a senior’s mind sharp and their mood uplifted. While technically not a game, jigsaw puzzles require a great deal of hand/eye coordination. This type of activity stimulates several parts of the brain. These intricate puzzles can be worked on over days, weeks, or even months in short spurts. It is an activity that can be shared with others. A jigsaw puzzle may be a good activity for those in respite care in Vancouver who may have limited mobility and need a little help to work on. Chess is similar to jigsaws in that it requires hand/eye coordination. It also requires mental acuity in the form of strategy and planning. Chess is played by two people, making it a good fit for a patient and caregiver. This might be perfect while in palliative care in Vancouver to help occupy one’s mind to reduce stress and physical pain. The game can go on for as many hours or days as the players choose, so it can be stopped if needed and picked up again later. Games are a great way to engage the brains of seniors. They support memory, math and strategy skills, social interaction, cognition, and coordination. For more information on support for those needing home care in Vancouver, please visit the Safe Care Home Support website.